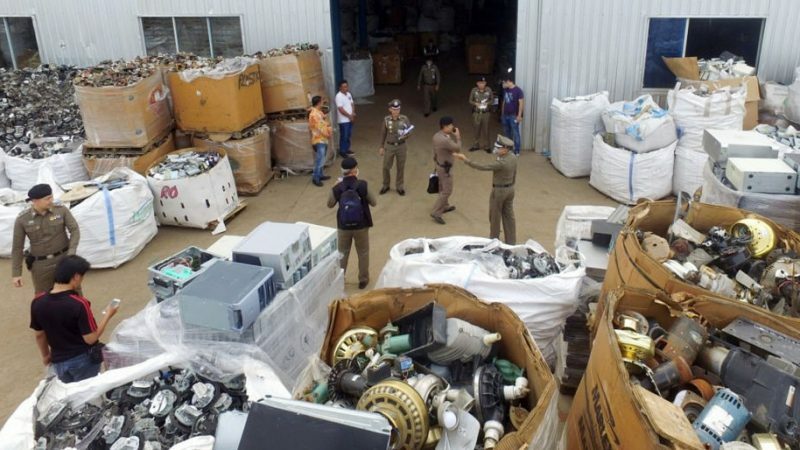 A plant located south of Bangkok in the Samut Prakan province has become a symbol of the havoc caused by waste electrical and electronic equipment (WEEE or e-waste) from developed countries in Thailand. Recently shut down by national authorities for infringing legislation on the importation of waste, the plant was visited by The Guardian. Old Dell and HP printers, out of use Daewoo televisions and mountains of keyboards, routers and other photocopying machines – all coming from foreign countries and particularly Europe and the US – could be found on site. Located in the middle of shrimp ponds, the waste plant was established after Beijing closed its borders to foreign waste and particularly plastic. Chinese companies have tried to open about a hundred plastic and e-waste recycling plants in Thailand since January. Over the first five months of the year, e-waste imports in the country have increased by 37,000 tonnes compared to last year. “We already have too much e-waste here. It is not our duty to receive this global pollution and pass it on to future generations in Thailand,” said Wirachai Songmetta, deputy chief of the Thai police. According to The Guardian, the UK has increased its imports to Thailand by 50. According to Songmetta, “scary” methods are being used to extract precious metals from the devices while the rest, including plastics, is burned in incinerators, exposing water, air and soils to toxic pollutants. Though such practices are increasing across Asia, the continent does not hold the record for most e-waste produced. According to a UN report published last April, several African countries, of which Nigeria, also hold a high volume of WEEE. 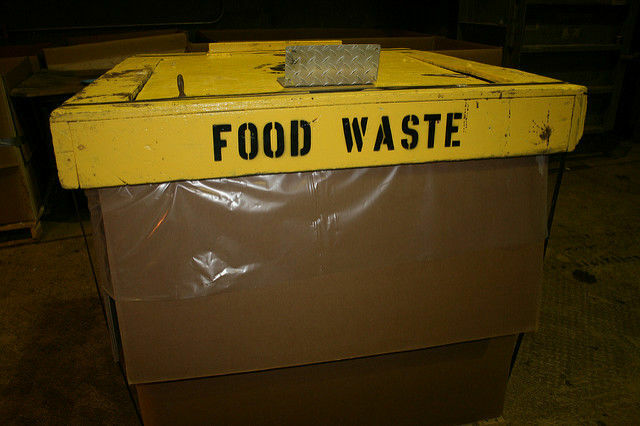 Jim Puckett of the Basel Action Network NGO believes that: “If in the long term the ban on the import of such waste is essential in South-East Asia, it risks having adverse effects on the rise of illegal processing activities, on the short-term”. Puckett calls on western countries to assume their responsibilities and recycle their e-waste on their own territories. More than two thirds of metal appliances and tech products that are thrown away in the EU are processed illegally and some leak toxins into the environment that can have dangerous health effects. 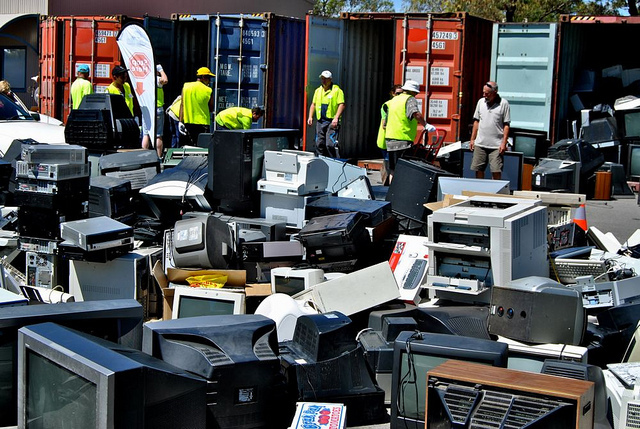 Researchers said Europe has an electronic waste problem.